Cost: Payment plans and sliding fee scale are available. The information provided by the diagnostic assessment guides the development of appropriate supports and interventions for the child in the home, school, social service, medical and judicial settings. Case management services following the diagnosis include assistance in completing the recommendations as well as advocacy for the child in the educational, medical, or social setting. 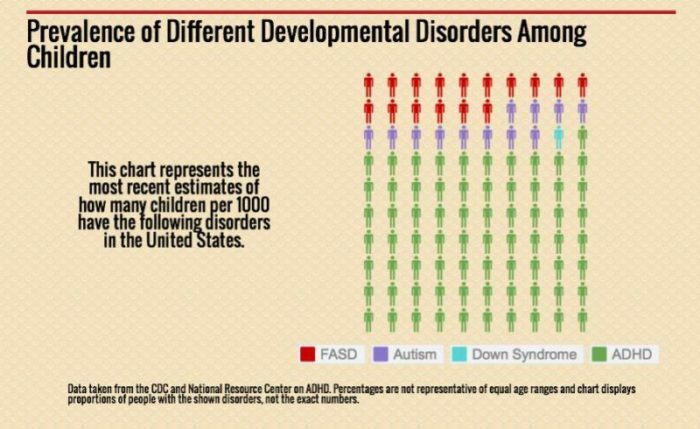 Fetal Alcohol Spectrum Disorders (FASDs) are the most prevalent of ALL Developmental Disorders!